108 key custom keyboard wanted. I want a full size version. 108 keys? RBG backlighting with pulse (aka breathing), touch reactive (waves), and lazer style lighting, different brightness levels, volume knob, maybe a usb hookup and headphone/mic jack. see through legends. I'd like taller keys at the top so it curves alot? cherry red stems. if anybody can find a link for something like this let me know. I want to know what is possible. 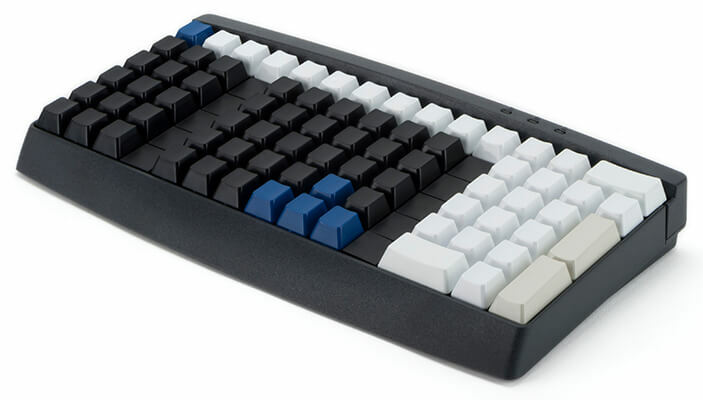 pref black metal casing, silver or white or black underneath the keycaps. Not surprised if you don't know much about any other mechanical switches apart from Cherry. They do hold a large chunk of the market after all. Not overly important to know of other brands unless you're real serious about it. So long as you know the main types of mechanical switches, that's most beneficial. Pretty sure you know already, but if not, they're Linear, Tactile and Clicky. Not sure which version you've received but if its the latest version of their orange switches made by Greetech, then pretty sure you'll enjoy them. A good number of keycap sets out there supports the bottom row for Razer keyboards or a lot of general gaming keyboards. The set you see on my K65 supports your Razer's bottom row and a lot of other gaming keyboards. What you're asking isn't exactly custom. Pretty much what you're after is gaming orientated keyboard and already exist with a good majority of gaming keyboards. Mainly ones from Corsair with what you're requesting. The Corsair K70 is something you should look into. I replaced them with these keycaps which you can get from this drop: https://www.massdrop.com/buy/backlit-doubleshot-pbt-keycap-set Or you can source them from some vendors on Aliexpress.